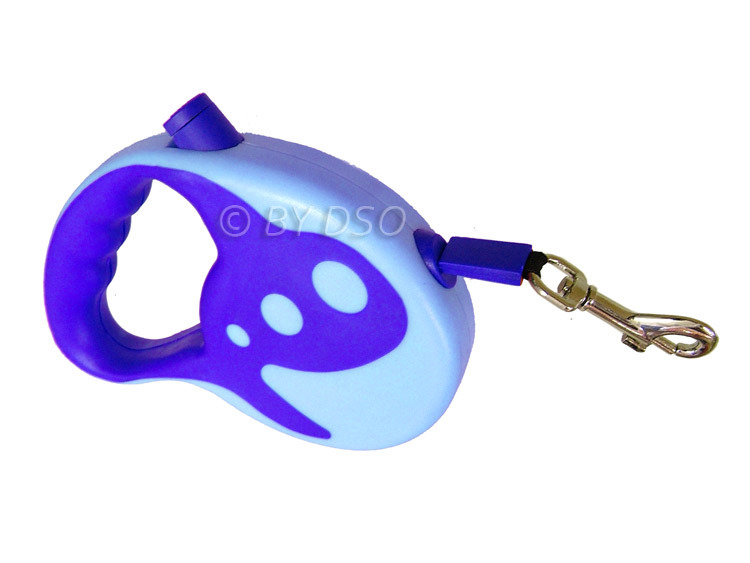 This is a brilliant blue automatic retractable dog lead. Ideal for small to medium sized dogs as the maximum weight is 10kg. To operate: 1. Hold the Dog leash by the handle; the cord will run in and out freely without sagging. 2. Press the Brake Button firmly to stop the cord running out. 3. To release, simply use your thumb and push the locking lever up.